Add gin, lemon juice and simple syrup to a mixing glass or shaker. Add ice and shake vigorously. Strain into a chilled coupe or other cocktail glass. Top with champagne and garnish with the lemon twist. The addition of Gin adds to the potency of this one over the more champagne based Bellini and Champagne Cocktail. 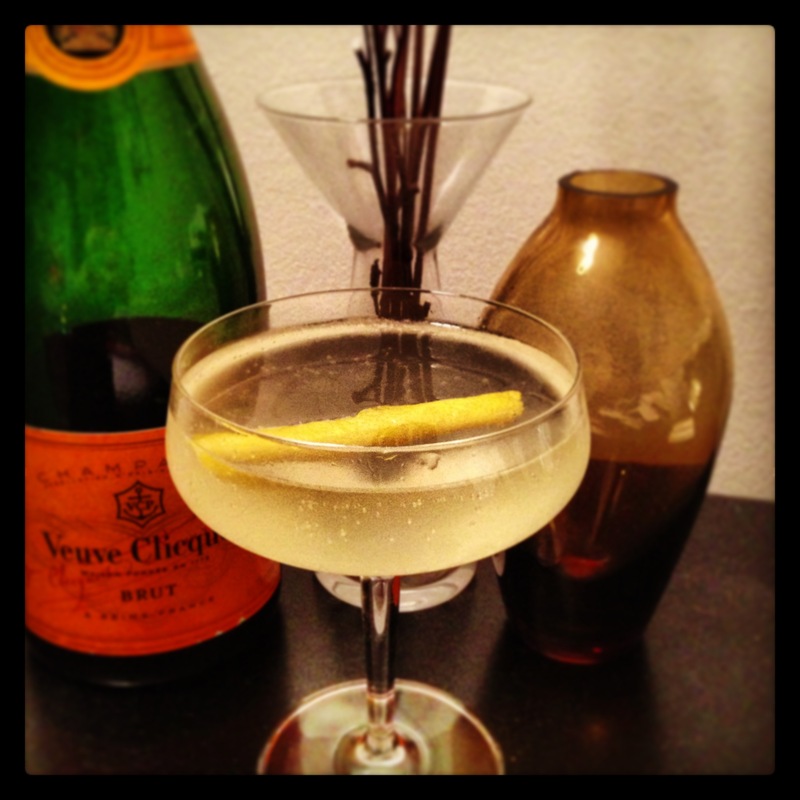 Light on the tongue and deceptively smooth, the French 75 does pack a punch greater than expected. The sweet from the simple syrup and sour citrus of the lemon pair well with the gin and champagne, resulting in a drink that is greater than the sum of it’s parts. Just be careful not to have too many as this one can sneak up on you. This classic also has a varied history depending on who you talk to. Some say it was created in 1915 by Harry MacElhone at the New York Bar in Paris. Others say a WW1 fighter pilot named Raoul Loufbery came up with it in Paris. Still others say it was created in America during prohibition. MacElhone’s (or Loufbery’s) recipe may have been the original, containing brandy rather than gin, with the now more popular gin based version originating later, possibly in the US during prohibition. Either way, the name supposedly alludes to the potency of the cocktail, said to resemble being hit by the kick of a French 75mm field gun. Brandy as mentioned may have been in the original version of this cocktail and is worth a try. It obviously makes for a slightly heavier drink. Yeah, it’s a classic for sure!